On January 21, 2019, about 0912 eastern standard time, a Douglas DC3C airplane, N467KS, impacted terrain while departing from Stoltzfus Airfield (OH22), Kidron, Ohio. The captain and first officer were fatally injured and the airplane sustained substantial damage. The airplane was registered to Priority Air Charter LLC and operated by AFM Hardware Inc. under the provisions of Title 14 Code of Federal Regulations Part 91. Visual meteorological conditions prevailed for the positioning flight, which was destined for Akron-Canton Regional Airport (CAK), North Canton, Ohio. A witness at OH22 noticed the airplane lift off about a third of the way down runway 19. Soon after becoming airborne, white smoke was noticed coming out of the left engine. The airplane began to veer to the left and did not climb normally. The witness watched the airplane descend over a building until he lost sight of it. 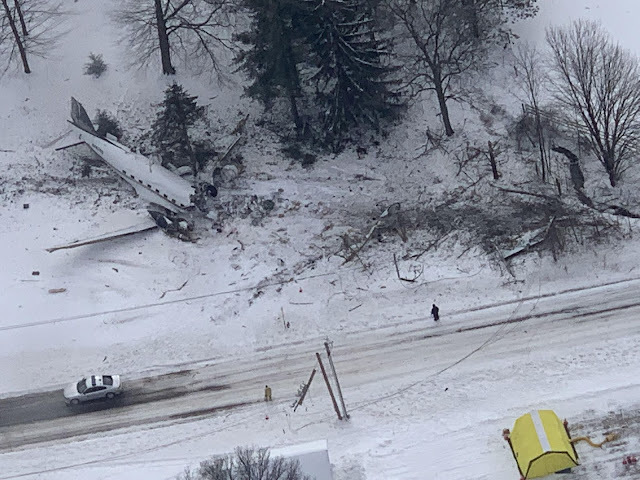 The airplane struck power lines and trees before impacting the ground and came to rest about 200 yards from the end of runway 19. The main wreckage was upright and oriented on a northwesterly heading, with the fuselage separated forward of the wings. The left wing was broken aft and upward and the inboard leading edge of the right wing was crushed aft. The left engine was broken aft and outboard of the wing's leading edge. The right engine was broken downward at the nacelle. 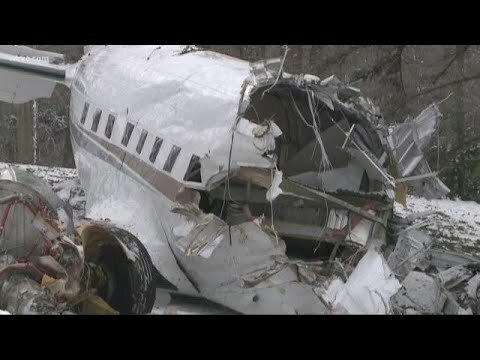 The nose of the airplane was located forward and left of the airplane main wreckage. The airplane wreckage, to include both engines, the cockpit voice recorder, and the aircraft data acquisition module, was retained for further examination. 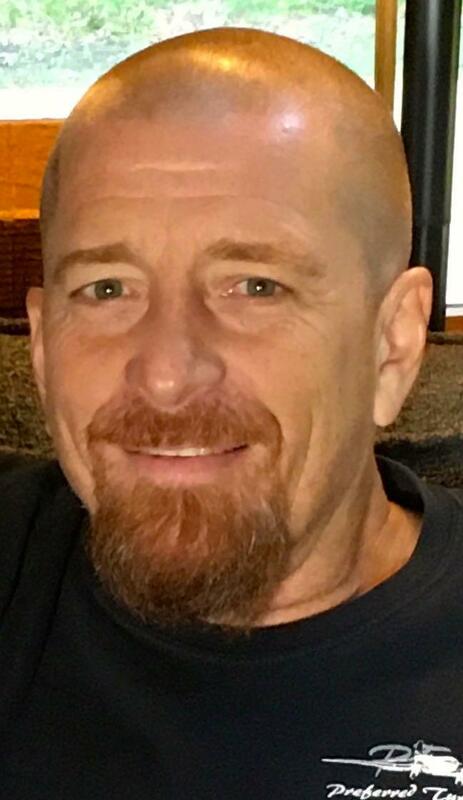 Brian L. Stoltzfus, 55, of Apple Creek died Monday, January 21, 2019, of injuries sustained in an airplane accident at the Stoltzfus airfield. He was born in Hanover, New Hampshire on June 2, 1963, to Kenneth L. and Elaine (Beiler) Stoltzfus Sr. of Kidron, Ohio. He lived in the area since 1974, but also spent much of the last 15 years in Kenya. He married Sandra Steffen on August 20th, 1983. She survives. Brian was co-owner of Preferred Airparts, Priority Air Charter, and Preferred Turbine-3 of Kidron. He was a member of Fairlawn Mennonite Church, Apple Creek. In addition to his wife and parents, he is survived by children, Kahly (Greg) Antal, of Morganton, North Carolina, Isaak Stoltzfus of Andrews, North Carolina, Abbie (Kelsey) Jurkovich of Wooster, Ohio, and Chelsea (Frank) Musick of San Diego, California; a brother, Mark (Jodie) Stoltzfus; sister-in-law, Sheila Stoltzfus; nephews, Colby (Alyssa) Stoltzfus, Austin (Whitney) Stoltzfus and Garrett Stoltzfus; and nieces, Tanya (Chris) Minnick, and Danae Stoltzfus. He was preceded in death by his brother, Kenneth Stoltzfus, Jr.
Memorial services will be held on Saturday, January 26th at 11:00 am at Fairlawn Mennonite Church, 8520 Emerson Road, Apple Creek, OH 44606, with pastor Duane Detweiler and Josh Lawrence officiating. Calling hours will be at Fairlawn Mennonite Church on Friday, January 25th, from 1-3pm and 6-8pm. Spidell Funeral Home in Mount Eaton is handling arrangements. Online guest registration and condolences can be left through the funeral home website at www.spidellfuneralhome.com. Memorial contributions in Brian’s memory can be made to Samaritan’s Purse International Relief https://www.samaritanspurse.org/our-ministry/donate-online/. Curtis R. Wilkerson went home to be with the Lord suddenly on January 21, 2019. Curtis was 56 years old and had been a pilot since 1982. He was a loving husband, caring father and grandfather. In John 14:6 "Jesus saith unto him, I am the way, the truth, and the life: no man cometh unto the Father, but by me." Curtis is survived by his wife, Lori Wilkerson; son, Joshua Wilkerson and his wife Sommer and their children Owen, Eva, and Ezra; son, Seth Wilkerson and his wife Elizabeth and their children Naomi and Ethan; his mother, Judith Wilkerson and two sisters, Cynthia Williams and Joy Wilkerson and family. Curtis dedicated his life to serve the Lord through mission aviation and most recently through his employment as a corporate pilot for The Kenan Advantage Group. The services will be held at North Life Baptist Church located at 2437 Back Orrville Rd. Wooster, Ohio 44691. Visitation will be on Friday the 25th of January from 9:30 a.m. till Noon with the funeral services to follow starting at 1:00 p.m. A private family burial will take place after the services. The family suggests that in lieu of flowers, contributions be made to North Life Baptist Church, where Curtis was a member, for the ongoing construction work and missions support. Brian Stoltzfus and his wife, Sandi, invested much of their time between 1995 and 2016 in East Africa, working in missions with Samaritan's Purse. 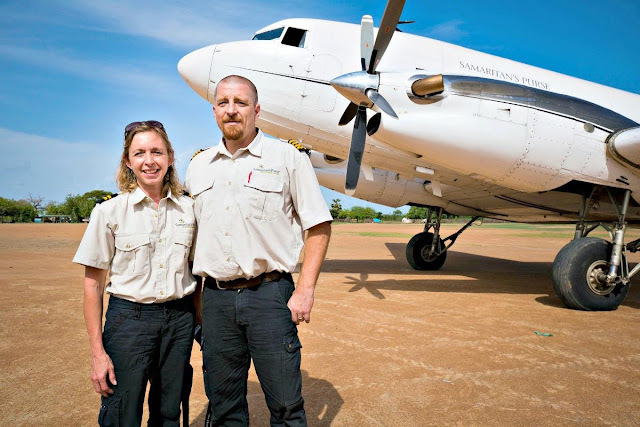 A pilot, mechanic and flight instructor, Brian Stolzfus logged 5,000 hours in a DC-3, much of that training pilots in Africa. “We use the word ‘high-risk,’” said Ken Stoltzfus Sr., whose son Brian, 55, was piloting the DC-3 that crashed Monday morning outside Kidron, killing him and co-pilot Curtis Wilkerson, 56. Ironically, the crash came close to home, just a stone’s throw from Stoltzfus Airfield and Preferred Airparts, the business started by the Stoltzfus family in 1982. For Brian, much of his time in the air had been spent far from Wayne County, making trans-Atlantic flights as a missionary aviator. In fact, Ken Stoltzfus said, his son and daughter-in-law Sandi, “shared the vision for serving the world’s most needy with every resource God entrusted to them.” That vision led to the couple spending the better part of 21 years serving with Samaritan’s Purse in East Africa. Brian Stoltzfus and Wilkerson both were veteran pilots and certified aviation mechanics who had flown in support of Africa Inland Mission, which is primarily a church-planting mission that goes into some of the continent’s hardest-to-reach areas. Wilkerson, according to his obituary, “dedicated his life to serve the Lord through mission aviation and most recently through his employment as a corporate pilot for The Kenan Advantage Group,” which is based in North Canton. Wilkerson was a member of North Life Baptist Church in Wooster but had spent years in the mission field. “He had a real heart for missions,” said pastor Harley Snode, “and that merged with his heart for aviation.” In fact, Snode said, the plane the two men were piloting Monday was to have been a part of some new initiatives they were exploring through Samaritan’s Purse. For Brian Stoltzfus, flying started early, with his first solo flight on his 16th birthday in the family’s 1946 Piper Cub, which now is owned by his brother and Preferred Airparts part owner Mark Stoltzfus. “After that, you could hardly keep him on the ground,” said Ken Stoltzfus, who taught his son the ropes much in the same way his father, Chris Stoltzfus, had taught him. Still, Ken Stoltzfus emphasized, his son was no daredevil but was “thoughtful and deliberate” in his work. Until Monday’s incident, Brian Stoltzfus had 10,000 accident-free hours in the air as a pilot for planes both large and small. And he logged 5,000 hours in the DC-3, much of that in Africa. Little did Snode know, he said, when the North Life congregation last met for worship that two of its attendees — Wilkerson and Wayne County Sheriff Travis Hutchinson — would be brought together again in on a bitterly cold day at a crash site off Hackett Road, the same road Wilkerson and his wife lived on. Both men leave wives, children, grandchildren, extended families and many friends. Wilkerson’s funeral is scheduled for Friday, Stoltzfus’s for Saturday. 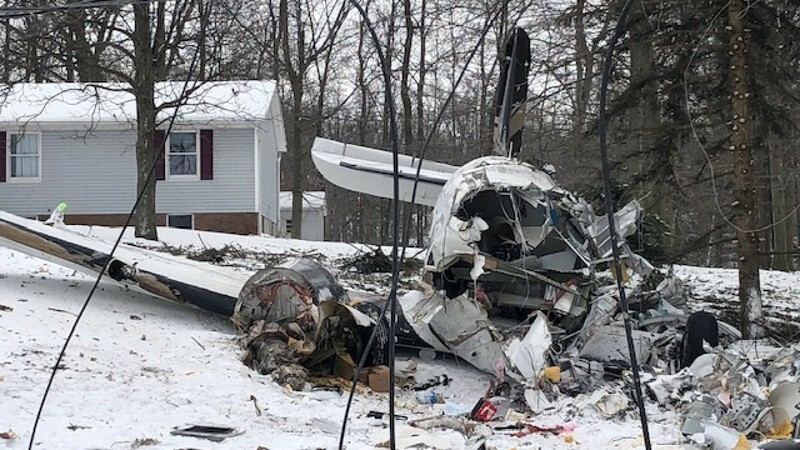 The partial federal government shutdown likely will delay the full investigation into the Wayne County airplane crash that killed two Apple Creek men Monday morning. Lt. Stephanie Norman, commander of the Wooster Post of the Ohio State Highway Patrol, said the patrol was completing its initial investigation Tuesday morning. Troopers handed the investigation over to officials from the Federal Aviation Administration on Tuesday afternoon, Norman said. But the National Transportation Safety Board won’t be able to begin its investigation until the shutdown ends, a spokesperson said Tuesday. 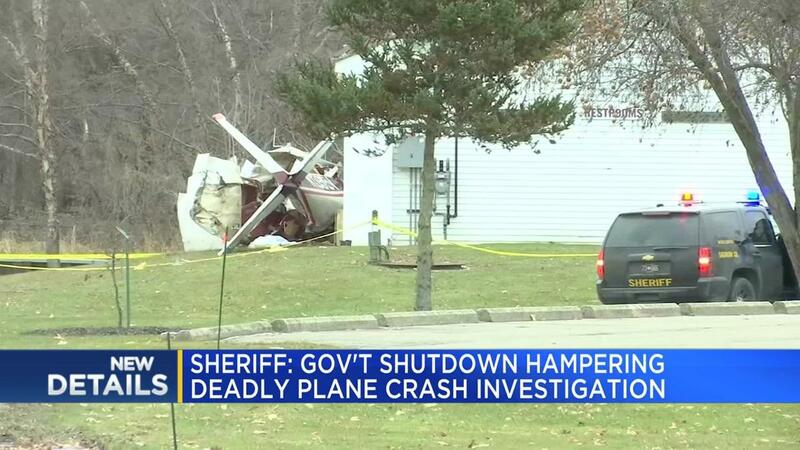 The NTSB is responsible for investigating and determining the probable cause of every civil aviation accident in the U.S.
“Due to the partial government shutdown, the majority of the National Transportation Safety Board’s employees are currently furloughed and will not be able to respond to major accidents, as well as other accidents where specific risks to transportation safety exists unless there’s a specific risk involved that could result in imminent loss of life,” Dolline Hatchett, acting director of the NTSB’s Office of Safety Recommendations and Communications, said in a written statement. 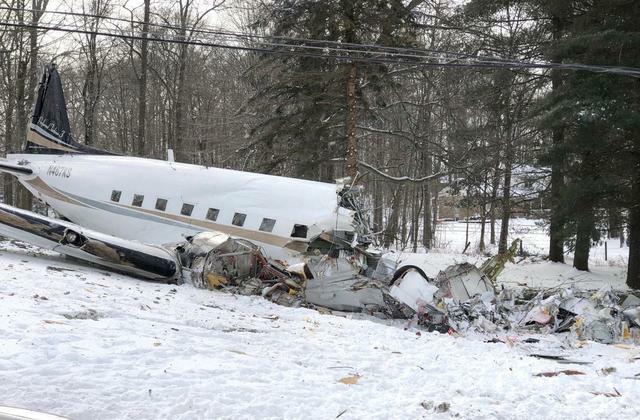 “The NTSB will investigate any safety-related issues that caused the tragic DC-3 accident once the partial government shutdown is over and the agency’s investigators return to work,” Hatchett’s statement concluded. 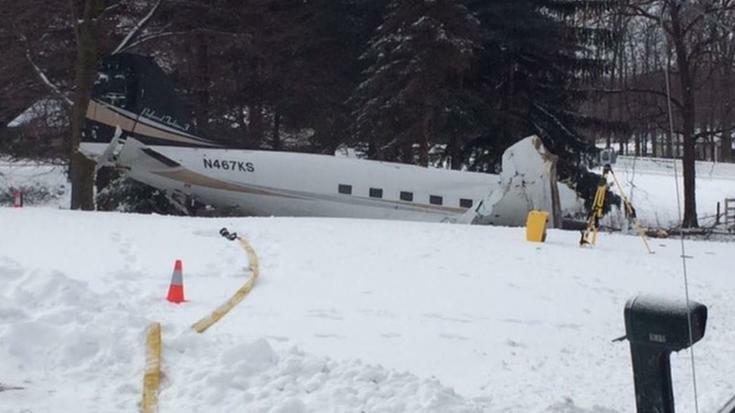 In the meantime, Norman said OSP’s initial investigation found engine issues may have caused the crash of the 32-seat, two-engine 1942 Douglas DC-3 cargo plane. Both pilot and co-pilot of the plane — Brian L. Stoltzfus, 55, and Curtis R. Wilkerson, 56, respectively — died in the crash near the intersection of Hackett and Kansas roads. 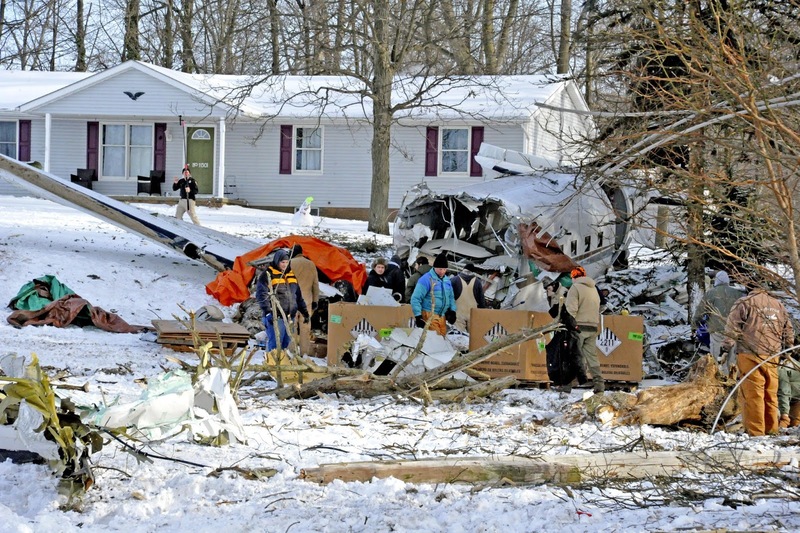 The crash occurred shortly after the plane took off from Stoltzfus Airfield near Preferred Airparts, the company Brian Stoltzfus owned and co-founded in 1982 with his father, Ken Stoltzfus Sr., and brother, Ken Stoltzfus Jr.
An FAA spokesperson said the shutdown has had no impact on that agency’s response to the crash. Gregory Martin, the FAA’s assistant administrator for communications, said the agency was not in a position to say exactly how long their investigation will take, but estimated it could be a matter of weeks up to a month or two. Federal officials have investigated three previous crashes at Stoltzfus Airfield dating back to 1991, according to NTSB records. Two of those crashes occurred within a month of each other in 2000, the latter of which killed four people and seriously injured one other. The previous fatal crash took place on the morning of Sept. 22, 2000, shortly after a 1976 Piper Cherokee Six 300 took off from Stoltzfus Airfield. 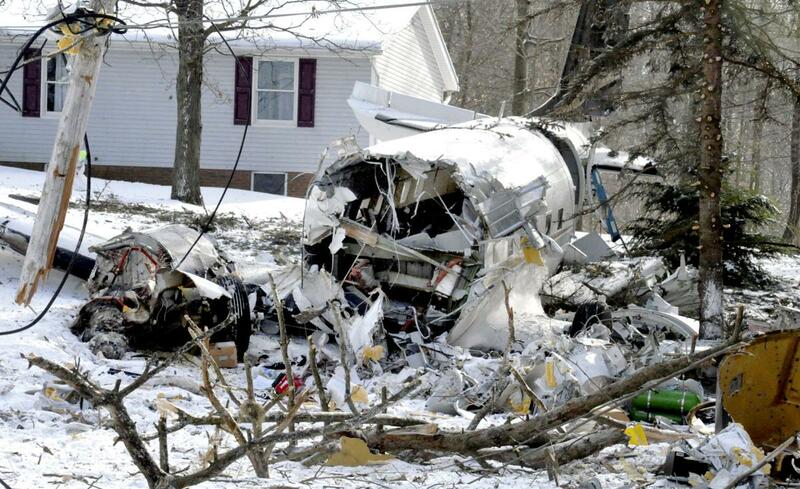 The plane’s pilot, a Virginia man, and three passengers, all from Apple Creek, died in the crash. Another Apple Creek man sustained serious injuries. The group was on its way to Burke Lakefront Airport in Cleveland for the annual Labor Day air show when the plane failed to gain enough altitude on take off, struck a set of power lines and crashed into a wooded area on Lautenschlager Road, just east of Carr Road. NTSB investigators determined the probable causes of the crash to be the pilot’s premature liftoff and failure to attain a proper climb rate. Low clouds that morning and the plane’s weight also factored in the crash, the NTSB found. 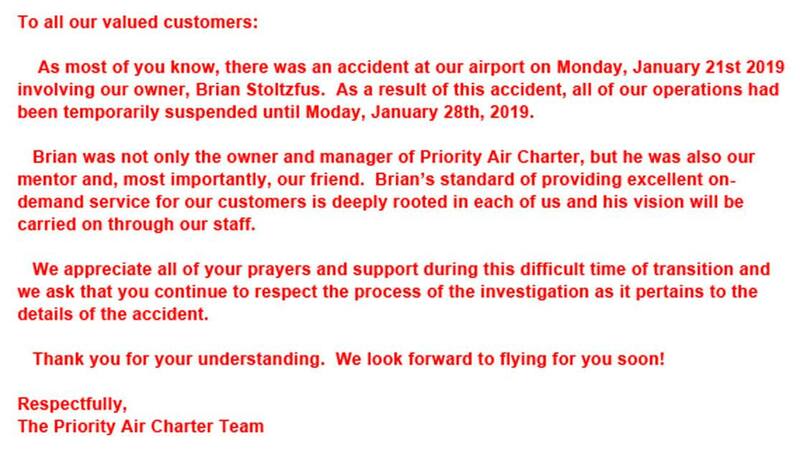 Monday’s crash was also not the first fatal crash for Kidron-based Priority Air Charter, the company that Brian Stoltzfus owned and co-founded with his brother Ken Stoltzfus Jr. in 1997. 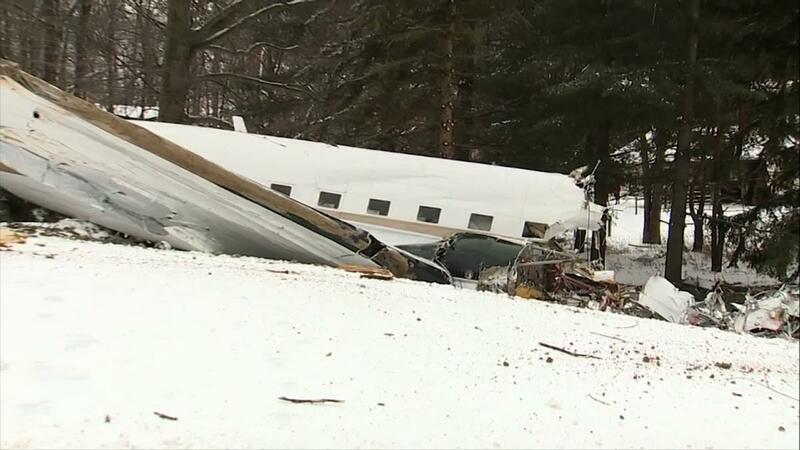 According to NTSB records, a pilot flying for Priority Air Charter died on March 15, 2002, when the Cessna 208 Caravan he was flying crashed about 15 miles east of Alma, Wisconsin. NTSB investigators found the pilot failed to remove ice from the plane before takeoff from Minneapolis-St. Paul International Airport and intentionally flew into severe icing conditions. Ken Stotlzfus Sr. said at the time the accident was the company’s first fatal crash. Hate to see that. RIP fellow aviators. One thing about it, and the most important thing of all, these guys knew Jesus Christ and were saved by his redeeming blood and resurrection. That's all that matters!! Considering where the wreckage ended up I was thinking he might have lost the left engine. Certainly this installation had autofeather but if light weight the yaw would have been aggressive. A dedicated humanitarian family in aviation. I grew up directly under the approach to, and also had a great view, of the (southern) west-to-east downwind approach for KMQS 'runway two-nine', and "Stoltzfus - Coatesville (private) Airfield", 'runway two-niner, just a little further north' along US Route 30, during the 1960's and 1970's; the first, and second generations of the Stoltzfus Aviation Family. I'd watched their DC-3's/C-47's fly in almost daily. This tragedy is heartbreaking to everyone in the aviation community, as this family has generated a fine legacy. My sympathy to all involved. I'm surprised with the amount of damage that there was no post-crash fire. Worst possible time to lose an engine, I'm sure they did all they could. RIP fellow aviators. Snow is like having foam already there.